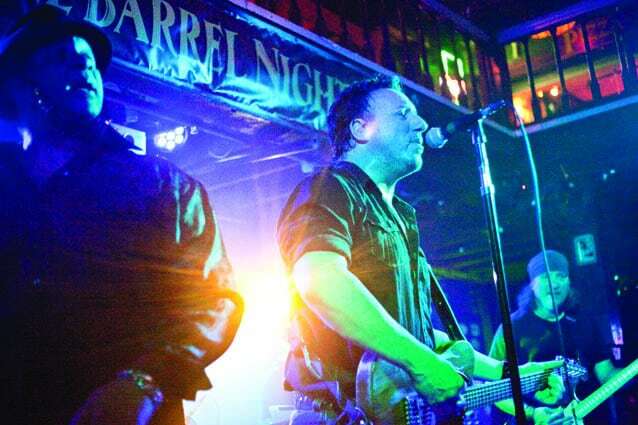 Thursday, Feb. 16, 8 p.m.—KILLINGTON—The preeminent Bruce Springsteen tribute band Bruce in the USA will appear in concert Thursday, Feb. 16 at the Pickle Barrel Nightclub in Killington. The show is open to anyone 21 years of age and older. Bruce in the USA is a high-energy musical experience with note-perfect and visually authentic recreations of a Bruce Springsteen & The E Street Band concert. Matt Ryan, from the world famous Legends In Concert cast, played the Springsteen character for eight years in their full scale Las Vegas show. His amazing portrayal of the Boss and jaw-dropping resemblance brought him to performances across the world, eventually evolving his character into the Bruce in the USA show. Bruce in the USA consists of seasoned world class professional musicians. The show has hosted musicians from Queen, Meatloaf, Blue Oyster Cult, Hall and Oats, Joe Cocker, and many more. This high-end, powerhouse band is billed as the world’s no. 1 tribute to Springsteen and the E Street Band’s musical legacy. Fans can expect nonstop hits like “Born To Run,” “Dancing In The Dark,” “Hungry Heart,” “Cover Me,” “Streets Of Philadelphia” and more. Tickets can be purchased online, at JAX Food & Games, or at the Pickle Barrel during business hours. Tickets will also be available at the door on the night of the performance. Doors open at 8 p.m. The Pickle Barrel is located midway on the Killington Road. For more information or to purchase tickets, visit picklebarrelnightclub.com or call 802-422-3035. Bruce in the USA channels the Boss himself, as they portray Bruce Springsteen and the E Street Band in concert.